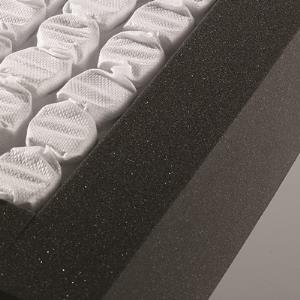 Exceptionally firm foam that resists sagging and surrounds the perimeter of your mattress for edge-to-edge support. Edge-to-edge sleep comfort. Extends the life of the mattress. 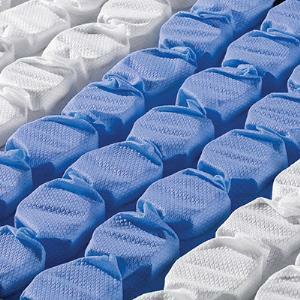 Provides a stable base for the entire mattress. The Misk CC Hybrid Journey PT Twin 12 1/2" Pillow Top Hybrid Mattress by Restonic at Miskelly Furniture in the Jackson, Pearl, Madison, Ridgeland, Flowood Mississippi area. Product availability may vary. Contact us for the most current availability on this product. Top COMFORTCARE® Worldwide producer since 1938 of the best sleep systems with a limited 15 year non-pro rated warranty Unit Coil Counts: Twin: 512 Full: 796 Queen: 884 Ki ng: 1088 JOURNEY Pillow Top Luxurious Designer Cover with Soft-Cool Finish that Wicks Moisture and Heat Away Giving you a Healthy Sleep Surface. The Journey Plush Pillow Top Hybrid Mattress, by Restonic, combines layers of comfort foam with zoned, Individually Wrapped Coils, providing both a soft, yet supportive, sleep experience. A layer of Gel Infused Memory Foam provides extra support and a cooling effect. 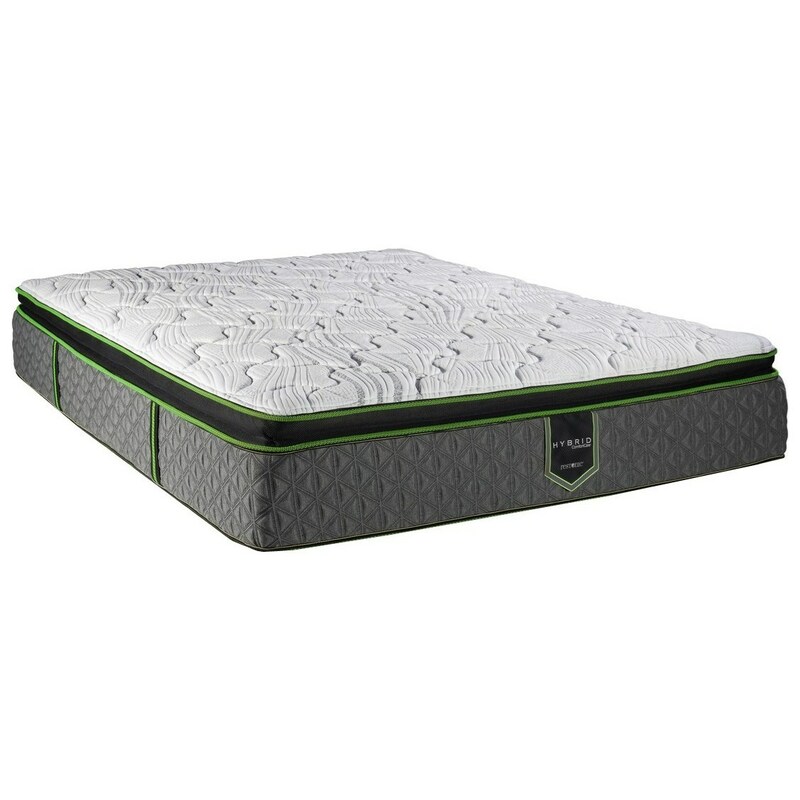 Featuring the Marvelous Middle®, a concentration of Individually Wrapped Coils in the center third of the mattress providing excellent support and reduced motion transfer. You'll experience full use of the mattress top with a Superedge Plus®, a firm foam encasement surrounding the mattress coils. Sleep well tonight on this exclusively made mattress. The Misk CC Hybrid Journey PT collection is a great option if you are looking for Mattresses in the Jackson, Pearl, Madison, Ridgeland, Flowood Mississippi area. Browse other items in the Misk CC Hybrid Journey PT collection from Miskelly Furniture in the Jackson, Pearl, Madison, Ridgeland, Flowood Mississippi area.